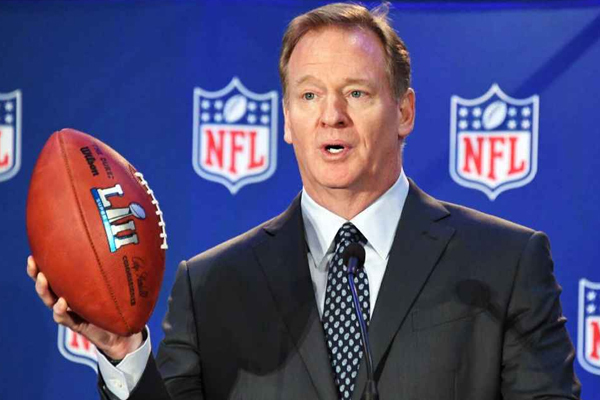 The NFL compensation committee informed the league’s owners that commissioner Roger Goodell signed a new contract. According to a source from the New York Times, Goodell signed a five-year extension worth roughly $200 million, which as per the compensation committee, it was a “nearly unanimous consensus” among the owners. Dallas Cowboys owner Jerry Jones attempted to derail the contract talks with Goodell. Jones was apparently so upset over Ezekiel Elliott’s six-game suspension for domestic violence that he had threatened to “come after” the commissioner and had even considered suing the league if it continued negotiations for the new contract. Atlanta Falcons owner Arthur Blank, who heads the compensation committee, said he was “relieved” that Goodell had signed the deal. Goodell will now be at the center of the negotiations for a new collective bargaining agreement. The current CBA is set to expire at the end of the 2020 season.